Information kiosk annex workstation that fits any current iMac model. The cables are cleverly concealed and the monitor is secured against theft. 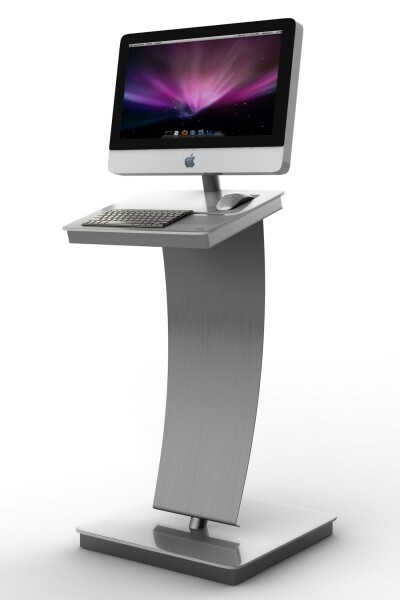 The entire stand is made from brushed stainless steel, with a white Solid Surface shelf for your mouse and keyboard. Mouse and keyboard tableau in typical iMac look. We reserve the right to change and modify products at any time.